"The Evolution of Chinese Property Law: Stick by Stick?" Abstract: Chinese land reform has managed to maintain and disintegrate state and collective land ownership simultaneously by discarding the unitary conception of ownership. 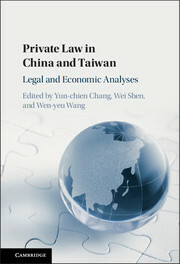 It is consistent with the idea that “property comprises a complex aggregate of social and legal relationships” rather than being “the simple and nonsocial relation between a person and a thing.” Regardless of Chinese legal scholars’ enthusiasm for or leftists’ hatred of the idea of individuals having sole and despotic dominion over private property, law and policy makers of Chinese land reform have often taken a more pragmatic approach, reconfiguring land rights in China “stick by stick.” The two main achievements of Chinese land reform, i.e., the establishment of land use rights (LURs) in the urban area and the establishment of land management and contract rights (LMCRs) in the rural area, are examples of the stick by stick approach. The ideological debate over privatization, in contrast, has more often intensified conflicts within the country’s political system. When such ideological enthusiasm dominates the law-making process, it hampers land reform, as exemplified in the making of the 2007 Property Law. It is therefore misleading to ask who owns and who prevails in the context of Chinese land reform. The better question is how the bundle of sticks is arranged among government, communities, and individuals. This bundle of rights metaphor, or conception of legal relations, as Michael Heller calls it, is useful because society is generating more forms of property than the simple thing-ownership metaphor captures. This chapter also examines the recent policy developments following the third plenum of the 18th Congress of the Chinese Communist Party (CCP) and finds that law and policy makers have stuck to the stick by stick approach. The chapter develops its arguments by reviewing the major property laws and policies over the past three decades to outline the basic contours of the Chinese property system. Click here to download the chapter.